I don’t know many people that don’t enjoy a French Fancy. Relaxed, tea party feel weddings are BIG right now. Think: Babys Breath, bunting, pastel colour theme, men in braces and skinny/bow ties, floral table cloths, table centrepieces in mis-matched cup and saucers, fairy light lit barns or marques and bands instead of DJs. 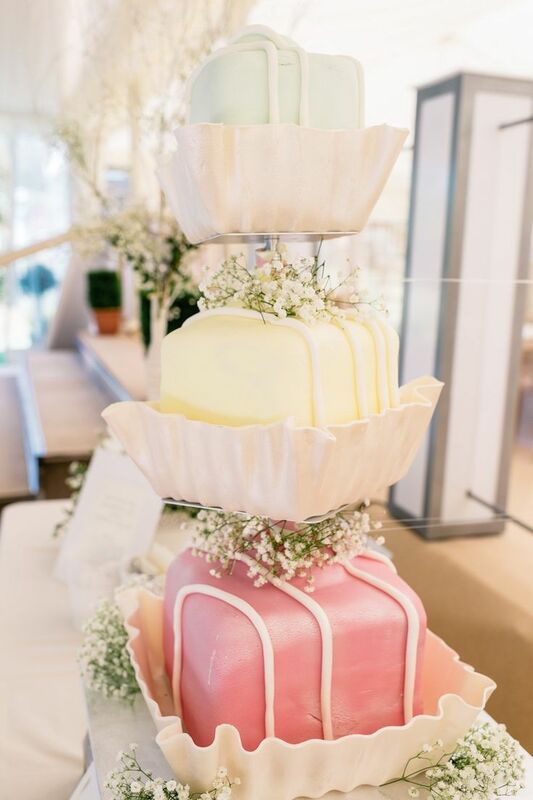 I can’t imagine a better way to tie this wedding style together than with a tiered French Fancy wedding cake! 1st) Buy a French Fancy Birthday cake from any supermarket. 4th) Arrange the cake and the cakes on the cake stand. You could add extra decoration to the big and small French fancy cakes such as a sugar craft flowers and your own cake topper. 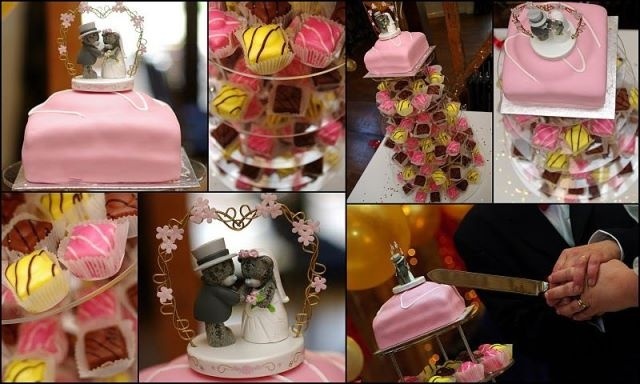 You could choose to have a cake maker create 1 French Fancy style cake for you in your chosen colour and then buy shop bought French Fancies for a reduced cost wedding cake that still have a professional, personalised touch.